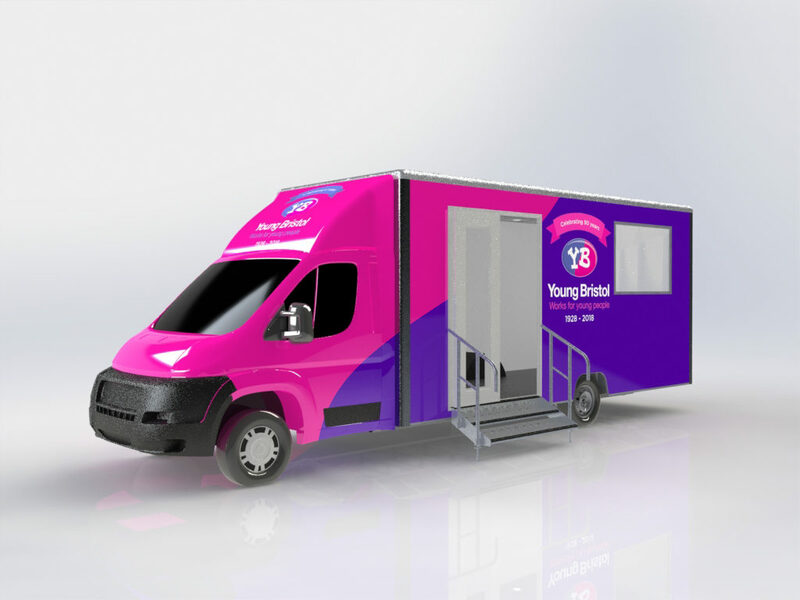 Since the Youth Bus for Young Bristol #YB4YB Appeal came to a close in 2018, we have been working hard behind the scenes to make our dream of a Mobile Youth Provision for Bristol and the surrounding areas a reality. We can now reveal the design of the bus which is on schedule to be delivered next month in February. The designs include a space to complete homework, an area to learn about preparing healthy meals, a safe place to talk to our youth workers and to relax and socialise with friends. There will also be a detachable awning to create a separate outdoor space. From the mobile youth provision, Young Bristol will provide social, creative, multimedia, sports and indoor and outdoor projects and activities for young people to take part in. 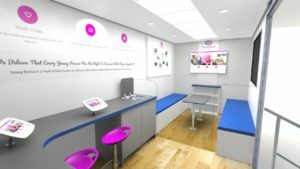 We have worked with young people from our Community Youth Clubs to name the mobile provision and have settled on two options either, the Mobile Youth Club or Youth Club on Wheels. The chosen name will be incorporated into the final design. From discussions with local BCC councillors such as Councillor Helen Godwin (Cabinet Member for Children’s Services), and data pulled from our youth clubs, we have identified three strategic areas within the Bristol City Council boundaries in which we are focusing our efforts. These include but are not limited to Shirehampton & Avonmouth, Henbury and Oldbury Court/Hillfields. Following discussions with Bath and North East Somerset Council, we will also be working across certain areas of BANES, such as Keynsham and areas within Chew Valley. As the appeal now stands, we have raised the stretch target of £120,000, which not only enabled us to purchase and design the bus but will also contribute to its running and staff costs. We would like to express our enormous gratitude to five of our key donors, The Nisbet Trust, The Nani Huyu Trust, The St Johns Foundation, The Society of Merchant Venturers, The Fairfield Charitable Trust and The Leonard Laity Stoate Foundation. These donations will be recognised with a message and presentation of the organisation’s logos on the bus. We can’t wait to get on the road and to continue to provide safe, social spaces for young people to turn to in areas with little to no pre-existing youth provision.